Some mods change balance. Some mods add units. Some mods just play with the UI. And some mods make everything look like a stylish cartoon. 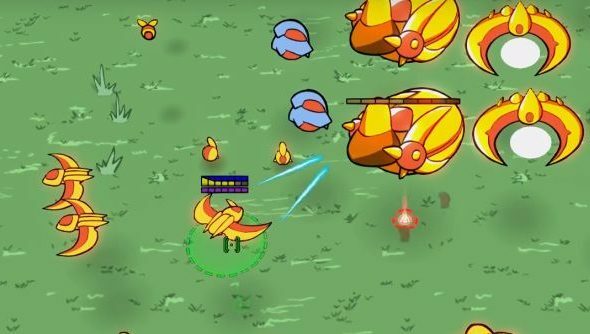 So goes the StarCrafts mod, a StarCraft II total graphical overhaul that replaces every unit, bit of terrain and other on-screen item with ones inspired by Carbot Animations’ super-popular series of animated Blizzard machinimas. It’s absolutely adorable, and a recent update has shown off the very-nearly-finished Protoss faction, including all their units, most spell effects and some death animations. A cutesy skin for one of the best strategy games ever. Here’s the full video. Skip to one minute to get past the now-out-of-date April Fools joke and on to the sweet cartoon beneath. I’m actually amazed by how great this looks. The StarCrafts series – along with Carbot’s works for Blizzard’s other games – has always looked fantastic, but it’s an animated series with a deliberately simplistic style. Not, you know, a video game that needs to be dynamic and flowing and based around quick, clear movements. It’s probably not going to be as readable in its final form as base SC2, but it isn’t designed to be as competitive, just a fun way to play the game. Sadly no playable version yet, but it shouldn’t be far off now. Hopefully it expands to be usable in co-op modes and elsewhere that players might have a good time with it. It’s being funded via an indiegogo that’s still ongoing, just about approaching the $100k mark that will unlock some additional random models. At $150k there will be a second mod that will also change gameplay elements to more fit the comedy of StarCrafts. It sounds fairly excellent, being something of a WTF mode for the base game, with units being vastly more powerful and ridiculous. Hopefully they reach it eventually.